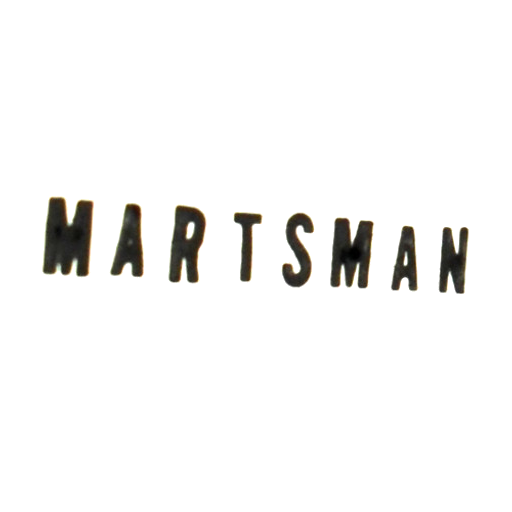 Martsman is a sound artist, producer and DJ based in Berlin, Germany. Zoe The Shrink & Bios were released as 12″ in 2015 on Pushing Red originally. They are available now on my Bandcamp page in digital format. Originally released as 12″ on Pushing Red in 2013, Shrank b/w NYCD is available through Bandcamp now in digital format also. I’m massively excited to say my album Kerner has been released on Hidden Hawaii this week. Beyond Voltage 1 was the first of three mix CDs compiled and mixed by A-Sides to showcase releases from his own label Fuze Recordings, a sublabel of Eastside Records, run between 1997 and 2005. Two new tracks out on Pinecone Moonshine’s most recent instalment. Massively happy to be on board! Get it directly from the label’s Bandcamp page. I’ve released a selection of tracks from the Black Plastics EP series as an album. It’s available through Spotify, iTunes, Deezer etc. pxlwrx’s created a short video loop for Nochen, part of Black Plastics Pt. 6. ŚÌN͟G͠S̨I͘N҉G̨ is a new A/V collab with pxlwrx. The original track Singsing was released as part of Black Plastics Pt. 6. Two years back, pxlwrx did this microvideo for Zigzag, which is out now as part of Black Plastics Pt. 6. The Black Plastics series continues – Part 6 is available now through Bandcamp.